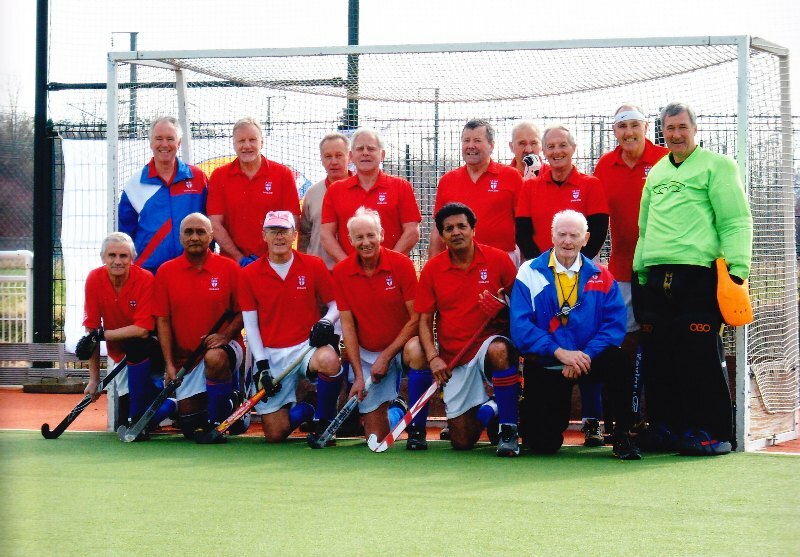 LX took a mixed-age squad to the Lille Over-60s tournament over the weekend of March 10 and 11, and came away as worthy winners of the tournament. This year’s team was arguably not as strong as the teams we fielded over the last couple of years, and with the competition getting stronger every year, our achievement was a credit to the leadership provided by Richard Clarke as Captain and the skill and effort put in by every single player. For the second successive year we chose to stay at a city-centre hotel, which provided the opportunity to take advantage of some excellent restaurants and for the wives and partners, of whom there were eight, to take in some sightseeing and shopping. On Friday night all 23 members of our party enjoyed a superb dinner at “La Paix Brasserie” in a private dining room, with a good choice on the menu, plenty of wine and LXers in good voice. On Saturday night everyone assembled at the “Aux Moules Brasserie” for a bit low-key but equally enjoyable selection of mussels and other seafood. There was perhaps one downside to staying in the centre, as on Saturday evening the Brampton/Longden/Ross/Murphy car got lost for an hour on the way back to the hotel – and the beer had not even started to flow! In our pool matches we drew 0-0 with Eburons and 0-0 with Italy, and won 2-0 against Alliance. The defence, with John Longden and Roger Lomas at full-back and Martin Ferrett in goal, restricted the opponents to very few forays into our circle. They were well-supported by the half-back line of Peter Ross, Richard Clarke and Sudesh Nayar. The forwards, led by Parmjit Bolina, David Gill and Bob Grenside, created some good scoring chances, but we did not open our account until the last pool game, with Parmjit and Graham George finding the net. These results were sufficient to leave us at the top of our pool. The other pool was won by Wales, with Scotland in second place. On Sunday we played Scotland in the first semi-final. This turned out to be our best performance of the weekend. An early goal is a great boost in such short matches, and David Brampton provided that with a subtle deflection past a bemused keeper. Further goals were added by David Gill and Mike Sprange. John Longden has been claiming some assists. In the second semi-final Wales were surprisingly beaten by Italy, who soaked up enormous Welsh pressure and struck twice on the break. The final between LX and Italy failed to deliver the attractive hockey of our performance against Scotland, but we ground out a deserved 2-0 win. The defence dealt effectively with any Italian threat. At the other end some fine perseverance by Bob Grenside resulted in one goal for himself and one for David Gill. Squad: Martin Ferrett, John Longden, Roger Lomas, Peter Ross, Richard Clarke (capt), Sudesh Nayar, David Gill, Graham George, Michael Sprange, David Brampton, Parmjit Bolina, Bob Grenside, Alan Jackson. Thanks to Eugene Murphy for umpiring and helping with coordination of tournament umpires, to Roger Girling (who was unable to play due to a hamstring injury sustained the previous week) for his moral support and for being kitty-master, and to Richard Clarke for captaining the side. Thanks also to Sarah Clarke for looking after monies related to tournament fees and lunches, and to Pam Nayar for providing Saturday “lunch”.